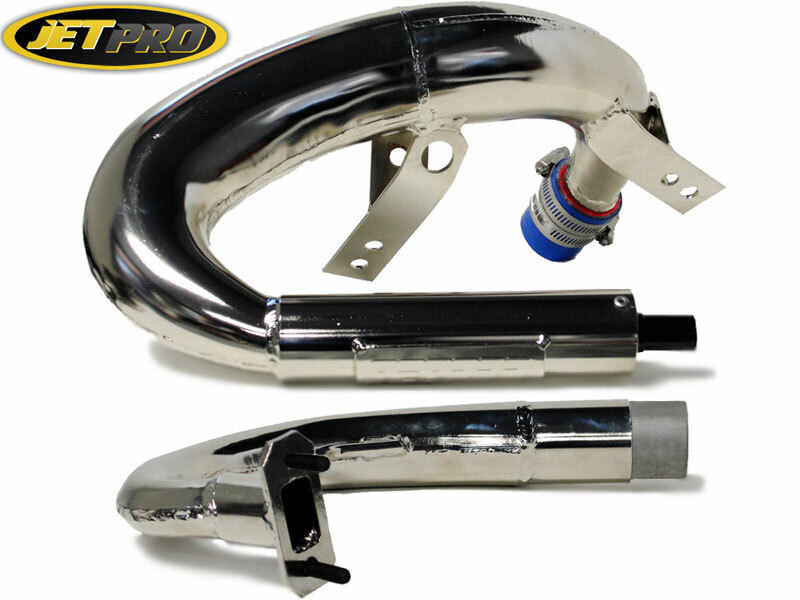 The Evo Performance Pipe is custom made by Jet Pro for the new Evo Rx and 2x models with the 49cc 2-stroke engine. 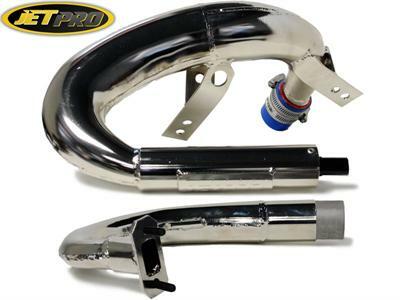 This tuned pipe will give your Evo more take off power and top speed, you can expect at least a 3000 rpm gain. It was specifically designed to wrap under the engine and out of the way. Best used in combination with the 16mm performance carburetor and air filter. This pipe includes all hardware needed to mount it to the engine and frame. Cut a slit up the center of the engine cover where it covered the stock muffler. Then cut a hole in the cover where the header pipe will exit.